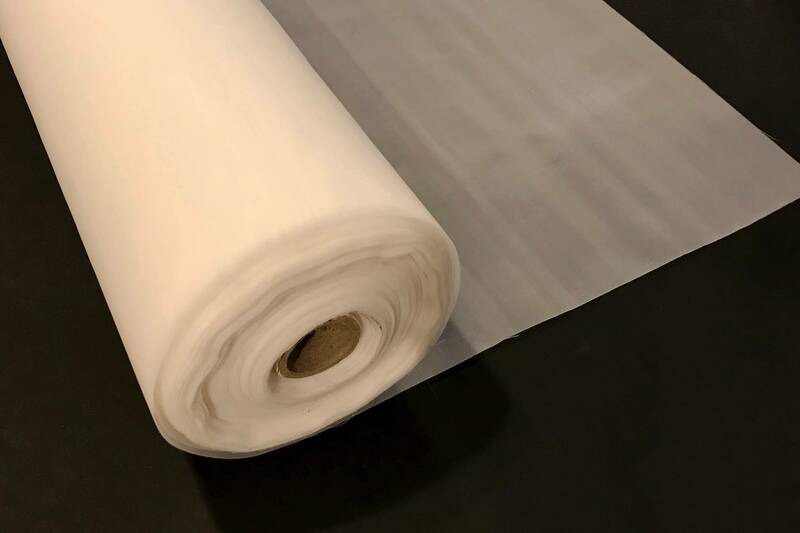 This extra fine white nylon mesh (50 holes to the inch) is great for stapling onto large frames to pour nagashizuki type sheets out of finely beaten abaca, kozo, mitsumata, or gampi. It is also perfect for making drain baskets for highly beaten very short fiber.. Mesh is 72 inches wide. Please Note: All orders of two or more yards are shipped on a tube, in order to avoid creases. To avoid delays in your order, please add the shipping tube below to your shopping cart if you are ordering at least two yards.